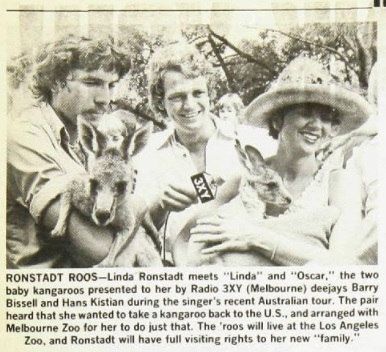 Given the amount of mental real estate I have dedicated to 1979 as a weird, wild watershed of a year, the realization that we’ve hit its four-decade, round number anniversary only occurred to me this morning. The simple math was there, but my brain never made the connection. 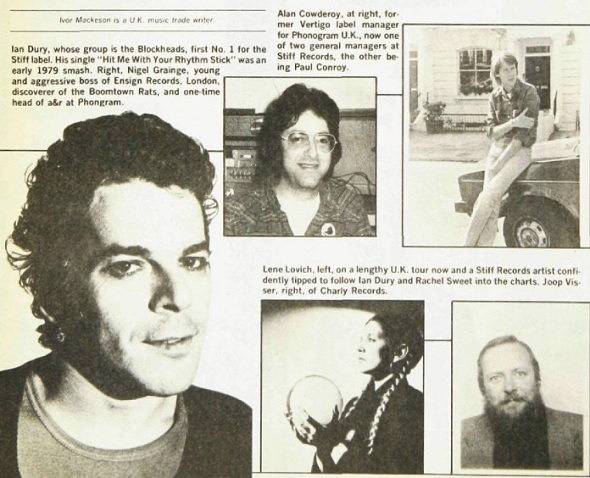 To commemorate this milestone, let’s take a peek at what was going down forty years ago this very week in the pages of the March 24, 1979 issue of Billboard Magazine. First up, a fuckton of disco. I’m talking maximum levels of boogie fever contagion, thanks to a lengthy spotlight feature about the publication’s latest “Disco Industry Forum.” Celebratory PR photos and sky (or, more likely “blow”) high optimism about disco’s eternal market dominated proceedings, with only occasional mentions of the scene’s nagging structural problems — fatigue via over-saturation, the inability to gain any widespread traction as a radio format, and the dearth of acts capable of supporting live performance tours. 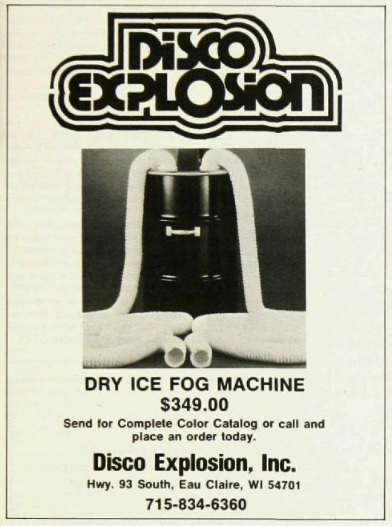 …industrial dry ice fog units to be had for $350 (or $1200 in inflation-adjusted 2019 paper). …and a short full color spread touting the impending release of Supertramp’s Breakfast in America album. …and some absurd nonsense about Phillips unveiling a new media storage format involving small plastic discs and laser beams. Yeah, like that was ever going to happen. The (sorta) reunited Roxy Music’s Manifesto netted a couple hundred words split across a full page ad, album review, and fluff pieces. Joe Jackson’s Look Sharp! 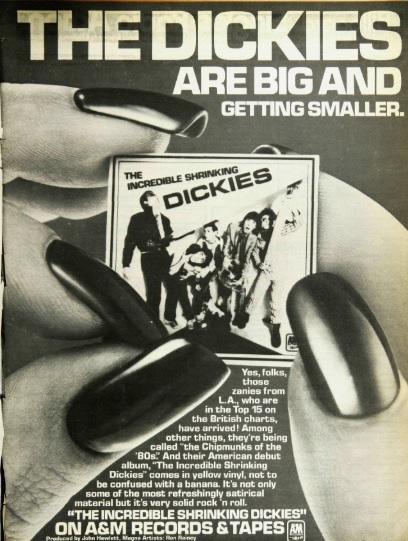 got a brief recommendation blurb and the Dickies attempted to follow-up their historic appearance on CPO Sharkey with a full-page promo for their debut album. …strapped into the backseat of my dad’s barge-sized Thunderbird, dizzy from secondhand smoke and queasy from McDonalds food. 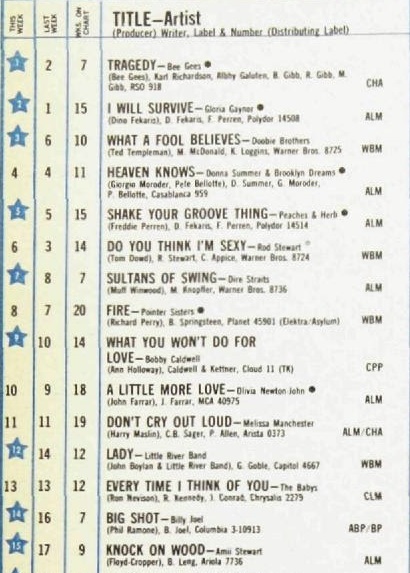 At least “Heart of Glass,” was on the not-to-distant horizon to blow my six year old mind. 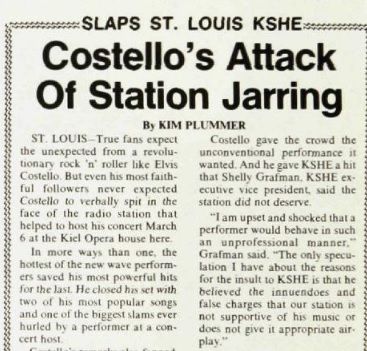 Actually surprised that Stiff Records, Joe Jackson, and Elvis Costello got that much coverage.